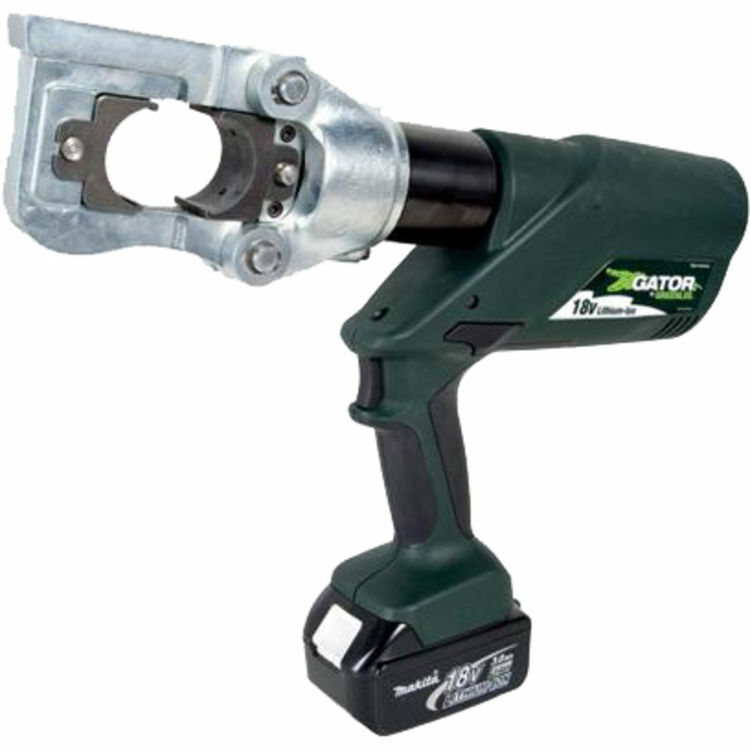 The Greenlee E12CCXL22 Battery-Powered Gator Crimp Tool (12-ton)(230V Charger) is part of Greenlee's premium collection of tools and accessories. This crimper features Greenlee's intelligent crimping system technology that includes a pressure sensor that monitors the crimping force of each crimp and provides the operator a visual and audible alert if the force is below specifications. It comes with a state-of-the-art 18v lithium ion battery, a retraction stop repeat that allows you to partially retract the ram and repeat the retraction for subsequent crimps, an LED indication light for battery charge and tool maintenance status, a 2-stage hydraulic system, a single trigger control for all functions, a crimping head that rotates a full 350-degrees, an automatic retraction when the crimping/cutting cycle is complete, overmodled tacky grip areas, an LED work light, and a smart charger that controls the current, voltage, and battery temperature to maximize battery life.